When it comes to taking a family vacation in Oregon, images of waterfalls, luscious green rainforest, majestic pines, and mile-after-mile of coastal splendor might pop up first in your mind. 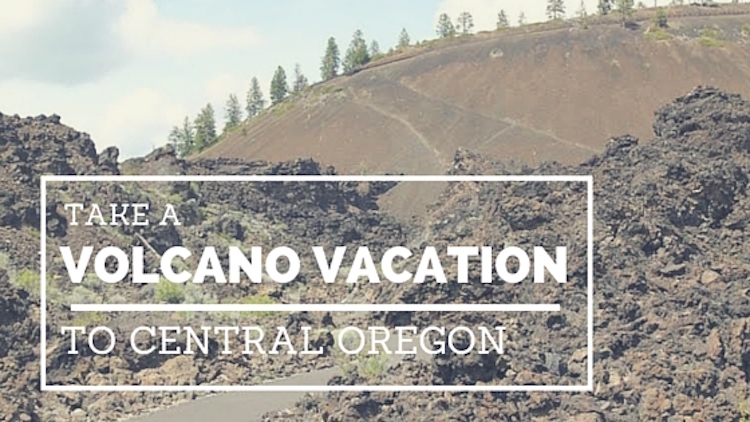 And while Oregon has endless options all of these things, it’s also a great place to learn about volcanoes. Start your Oregon volcano vacation at Newberry National Volcanic Monument, located in the Central Oregon’s high desert region near the town of Bend. With the Willamette National Forest and the Cascades Mountain Range towering off in the distance, Newberry National Volcanic Monument is both rugged and beautiful. Consider camping at Lake Paulina when visiting the area. Managed by the US Forest Service, the monument protects the 1,200 square mile area around the Newberry Volcano. Don’t worry it last erupted 6,100 years ago. For a frame of reference, 1,200 square miles is about the size of Rhode Island! Closed between Columbus Day and Memorial Day, the key attractions at Newberry National Volcanic Monument are the Newberry Caldera, Lava River Cave, Big Obsidian Flow, and Lava Cast Forest (note, the Lava Cast Forest is located in the nearby town of La Pine). 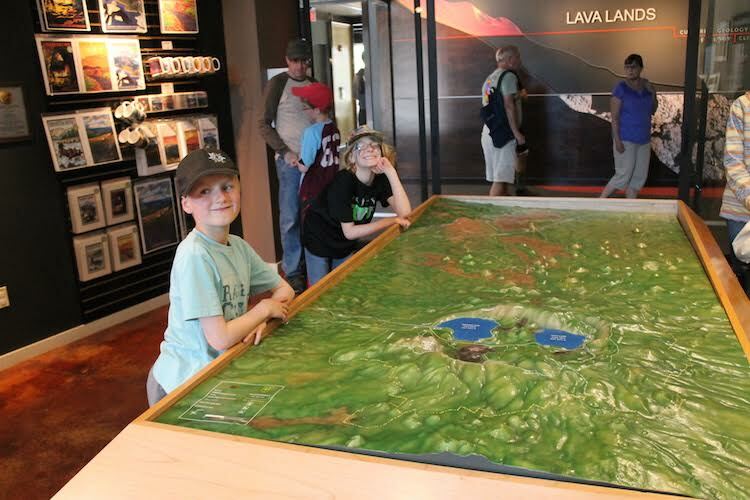 Start at the Lava Lands Visitor Center where you can consult the 3D topographic map and watch a short interpretive video. Ranger-led “walk and talk” tours are available; we did our own self-exploration on the paved trails leading up towards the caldera (we were pushing my grandma in a wheelchair and the trail does get steep after about 1/3 of a mile in). 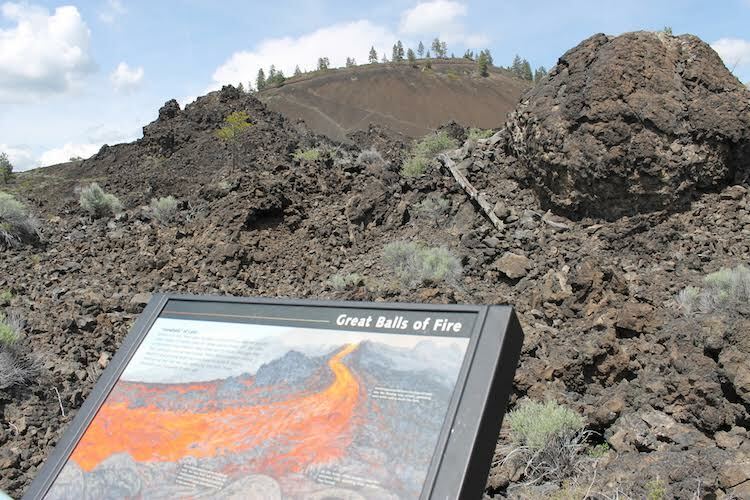 Lava Butte, a 500-foot cinder cone is located just behind the Lava Lands Visitor Center. During peak visitor season, the only way to the top is to walk, bike, or pay $2/person to ride the shuttle bus (it departs every twenty minutes from the Visitor Center parking lot). Perhaps the most popular attraction at the monument is the Lava River Cave, a lava tube cave that takes a full two hours to explore. NOTE: this experience not recommended for people with limited mobility. We arrived late in the afternoon on Memorial Day and park staff had already posted a sign saying the cave was not accepting any more visitors for the day but, I’d go back just for this one experience. 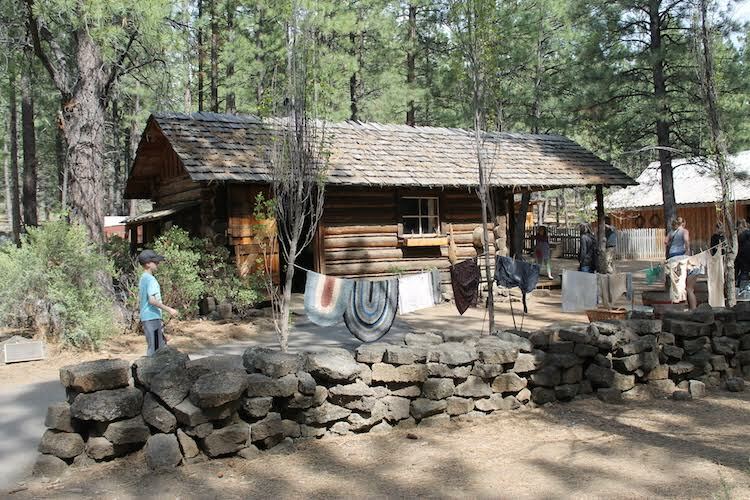 If you are planning to spend a day or two of your Oregon volcano vacation in Bend, we recommend a full afternoon (or more) at the High Desert Museum. This interactive indoor/outdoor museum tells the story of the native people and puts visitors in the shoes of the immigrants who came to Oregon in the early 1900s. You’ll also find native plants, birds, reptiles, fish, and mammals. The raptor shows are popular, but you need to check the daily schedule and plan ahead for those. Bend itself has a variety of hotels and motels that are kid- and family-friendly. If you like to drink craft beer, check out Deschutes Brewery in the historic downtown. Many people also like to stay at Sunriver Resort in the town of Sunriver. This is more of a “resort” experience with bike rentals, golf, swimming pools, and many of the amenities you might anticipate in a package type vacation. About the author: Julie Henning is the new owner (but longtime editor) of the family travel website Road Trips for Families. She recently moved to Eugene, Oregon with her husband, three kids, and black lab. Follow her on Facebook, Twitter, Pinterest and Instagram.